Elleholm blogger Ilda Ignacio who’s writing in a top PH political website getrealphilippines.com explained in her lengthy column why Leni Robredo, being Vice President is dangerous to Filipinos. 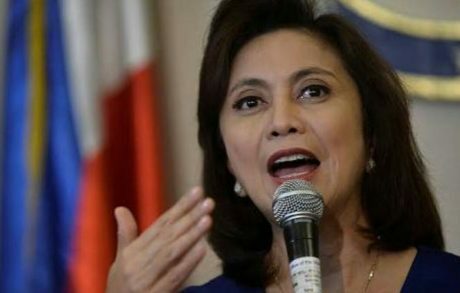 svindel på datingsider In her article titled “Filipinos are not safe while current VP Leni Robredo is in power,” Ilda said that the Vice President are always using her ‘woman card’ which is very unfair for men who are also being experienced harassment. Randers She said that Robredo that already made it sound that only women are the only ones getting threats online while the male supporters of Duterte who received hate messages from Liberal Party supporters are being ignored. Ilda made Pro-DDS blogger Atty. Darwin Cañete an example of how male supporters of President Duterte were receiving threats online because of their political beliefs. Cañete received threats before from an online troll, claiming that he’s going to raid the lawyer’s house to murder his family. Unlike Robredo who’s always just making herself a victim, Cañete didn’t cry foul and just followed the legal process of suing the troll who attacked him. Ilda also said that the reckless statements and actions of Robredo were both dangerous for men and women, pointing out how the Vice President maligned the Philippine National Police and the Duterte government in the eyes of the international community. She also believes that Robredo is only inspiring her supporters to commit cyberbullying on social media. On the other hand, the camp of Vice President Robredo didn’t condemned their female supporter who threatened to bomb Luneta Park on April 2, last year. “While Robredo is claiming that women are not safe in today’s world anymore, the truth is, Filipinos are not safe while Robredo is in power because she is using her position to destabilise the Philippines and she is inspiring her supporters to harm innocent people.” Ilda said in her post. She pointed out that during an interview with Ted Failon, Leni Robredo admitted that her decision to run as Vice President is only a sudden judgment. Vice President Robredo also made a division in Philippine Society after she released unverified claims on the war against illegal drugs, like the ‘palit-ulo’ scheme where proven to be false by the PNP. “Instead of apologising for her errors, Robredo stubbornly sticks to her guns and denies them even when what she said was on record. It goes to show that she is more concerned about her image and her ego than serving the people. This is not just bad for the women she claims to represent; it is bad for the entire population of the Philippines.” Ilda said. DZMM’s website hacked by Anonymous Philippines and Blood Sec hackers.